The European Union has strong laws that have been strictly enforced over time to produce remarkable results in all spheres of life in the 28 countries across Europe where they are being followed. Although it is not a blanket law enforceable in all the countries over every internal national matter, it reigns supreme over the national law when conflicts in this area arise. Hence, it is inevitable that students would wish to write papers based on these laws. EU law dissertation topics can profoundly increase the students' knowledge while giving him an in-depth grasp on the intricacies of strong civic societies. A literature review of parallels and discords between the UK and the EU laws on data protection and rights of the individual. The Belgian experience of EU Law on National Civil Procedure- an exploratory paper. The Blue Card Proposal and the international labour market- exploring the legal dynamics. A rhetoric on direct taxation in the EU laws – an analysis of strengths and weaknesses. A gendered perspective of EU laws and implications for Britain on withdrawal. Challenges faced in the implementation and compliance of EU laws in the domestic and group arena- an investigation. Racial and ethnic minorities and work regulations under EU law- an analysis. The EU's move towards a different approach to moral rights- highlighting the important points. The question of voting in EU- where to vote and under what circumstances? Tracing the history of European Law: from supranational regulations to legal status. How does the EU law work to maintain price stability? A review of literature. A critical analysis of the foundations of the EU Law- an investigation. A comparative review of EU and UK law in the digital business sphere. An investigation into how the EU manages compliance for its data protection law? A comparative analysis of the salient features of EU law and international law- their similarities and differences. Does the EU uphold international human rights laws? The impact of EU laws on extraterritorial disputes- assessing the global reach of the EU Law. A discussion of the EU Charter rights in the context of personal data and competition law. How does the EU law address the issues of irregular migrants from developing countries? Freedom of movement under EU laws- discussion areas o finer issues. Sale of citizenships in Malta- does the EU have the authority to intervene and should it? A discussion. 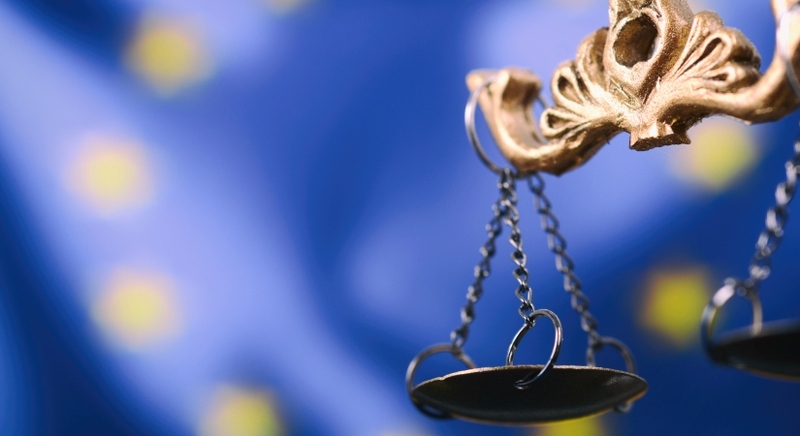 The EU jurisprudence illiberal democracies- implications for the rule of law. Armed conflict and the EU- an analysis of current legal issues. How does the EU law rule on antitrust damages? A review of literature. Ordoliberalism and the EU- can the hand in hand aspect be maintained? EU citizens in UK and British citizens in the EU- tracing difficult issues and challenges. What stance does the EU law maintain on student mobility? An inspection.